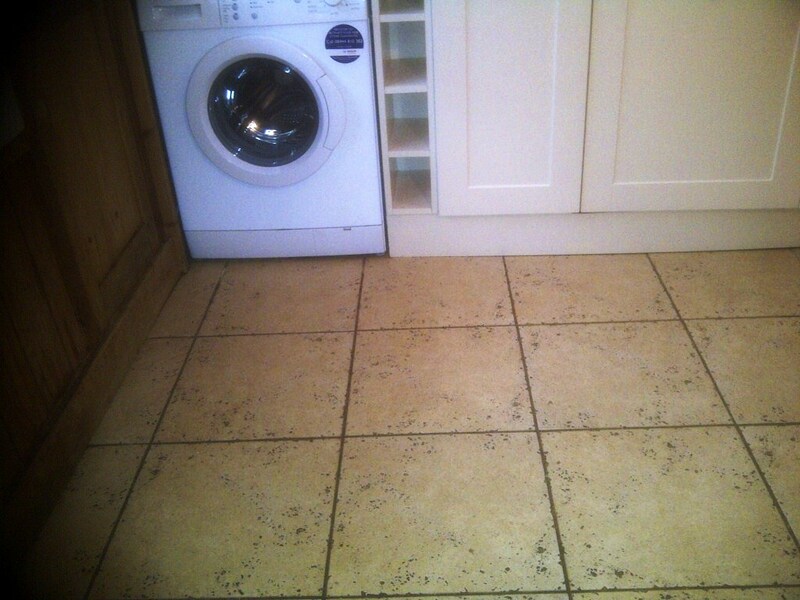 This customer from Rushden called me in because she was having difficulty keeping the grout in her kitchen clean although the ceramic tiles themselves were fairly easy to maintain. On speaking to the customer it became evident that the one coat of sealant that was originally applied to the grout five years ago had all but worn off and the cleaning products she was using were too strong reducing the life of the sealer and now dirty water getting into the now porous grout which was causing staining each time she mopped the floor. 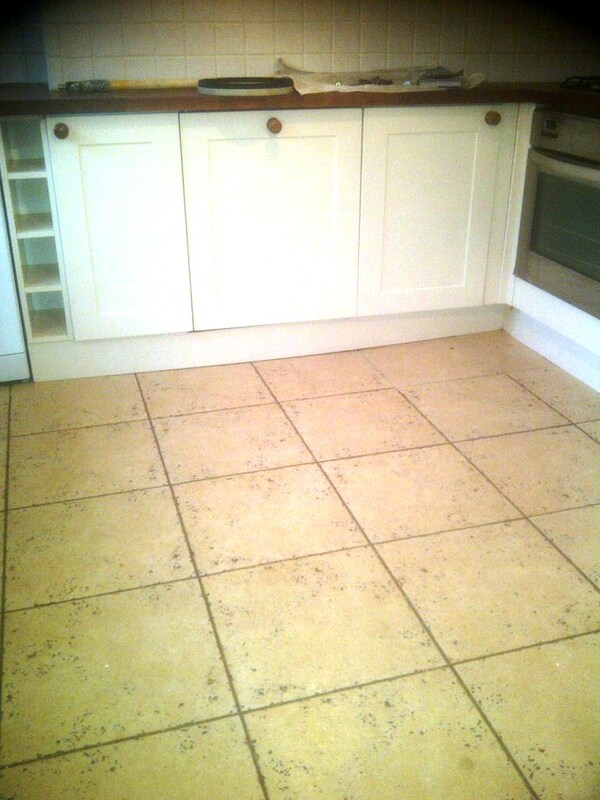 I gave the customer a quote for deep cleaning and extraction of tiles and grout lines, as they were thinking of selling the house they didn’t want to have the expense of re-colouring the grout. We decided the best course of action would be re-sealing the grout with Tile Doctor Grout Seal & Go after cleaning and this should protect it going forward. To get the grout clean and lift out the dirt we used Tile Doctor Pro-Clean mopped onto the floor and scrubbed into the grout lines with a stiff grout brush. 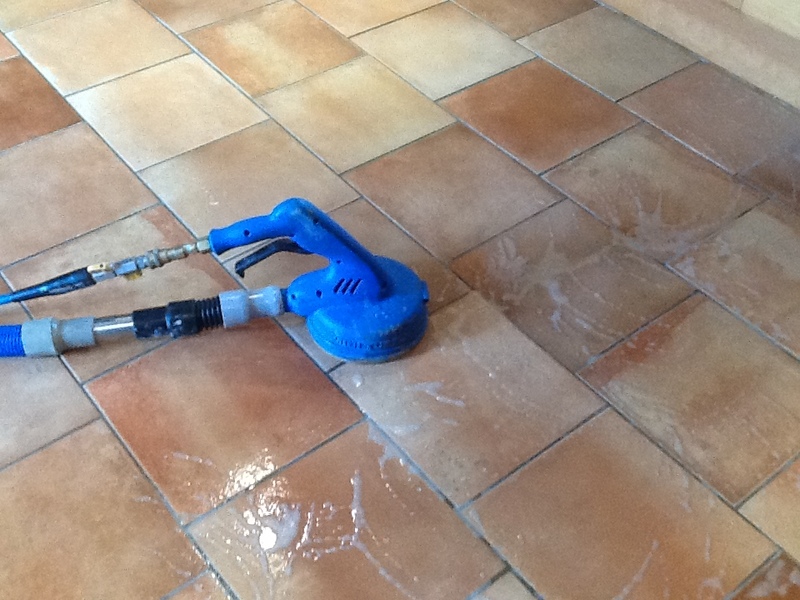 The second and third pictures below show the equipment we use to deep clean and scrub the grout and to extract the water under pressure to clean the grout as best as possible. The final pictures below show the overall end result after allowing the floor to drying overnight and then sealing the grout with two coats of Tile Doctor Grout Seal & Go. 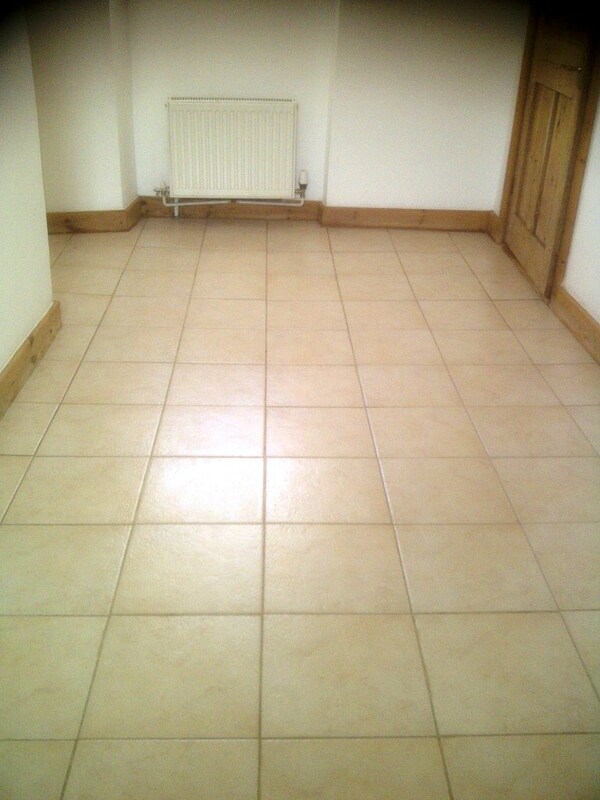 I also talked the customer through Tile Doctor recommended cleaning procedures and advised her that she was entitled to a free bottle of Tile Doctor Neutral Cleaner which would keep the floor looking at its best for much longer and would not affect the grout sealant. 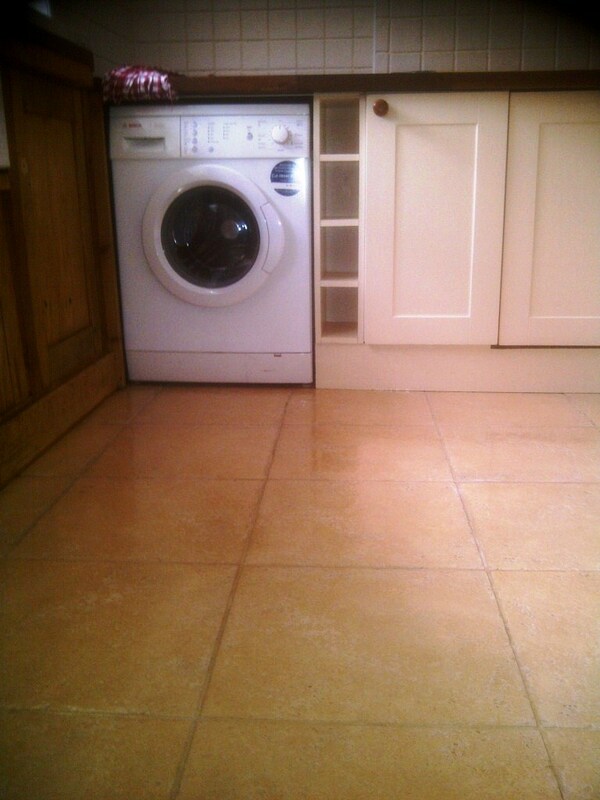 This house in Brixworth near Northampton had Travertine tiles fitted in the kitchen and Ceramic tiles in the hallway, both of which were in need of a deep clean. 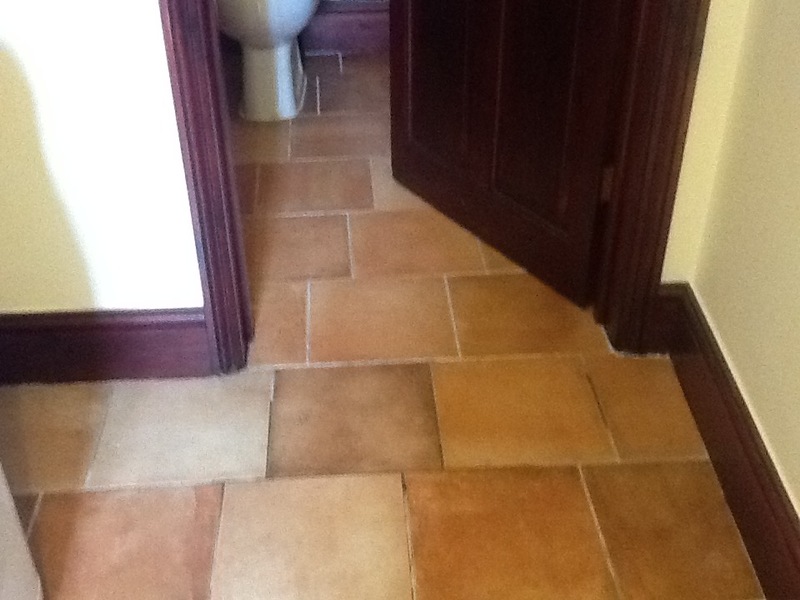 It was clear that the sealer on the Travertine tiles had stopped working allowing dirt to become ingrained in the surface causing it to become very difficult to clean, you can see this quite clearly in the photographs below, the grout had also become darker. 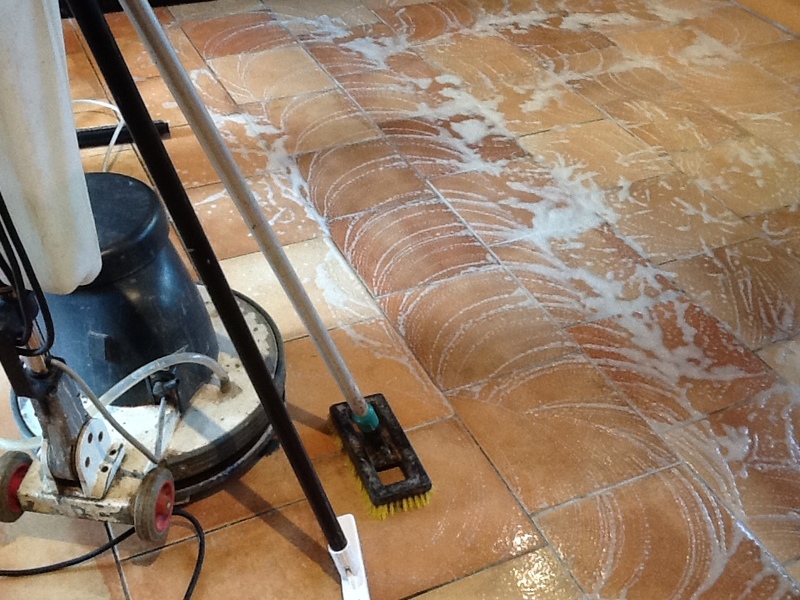 Travertine is a very hard surface so normally it’s necessary to use diamond encrusted burnishing pad system to clean, strip and polish the floor, in this case however I decided to try a combination of stripping and high pressure clean instead. 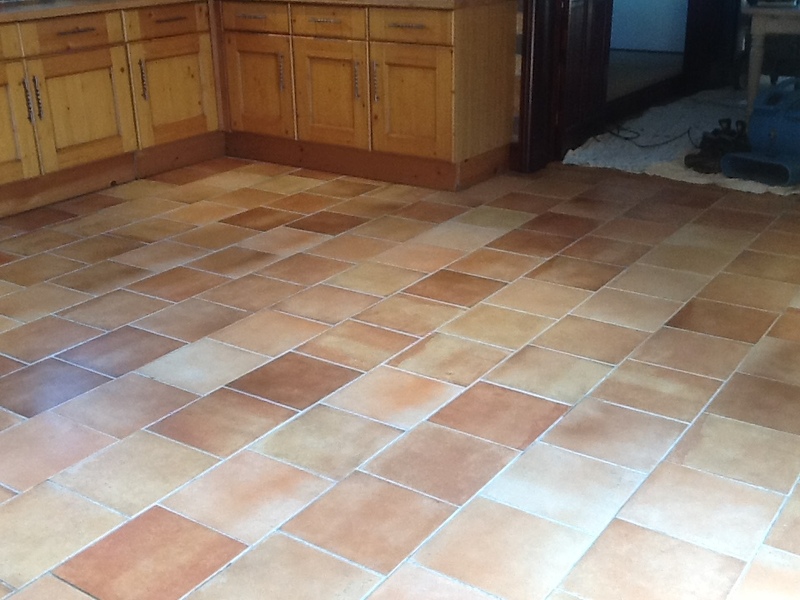 I started by applying a dilution of Tile Doctor Pro-Clean which is a multi-purpose tile cleaner safe to use on natural stone. This was left to dwell on the floor so it could get to work on the dirt before being worked in to the stone using a black stripping pad fitted to a rotary machine. 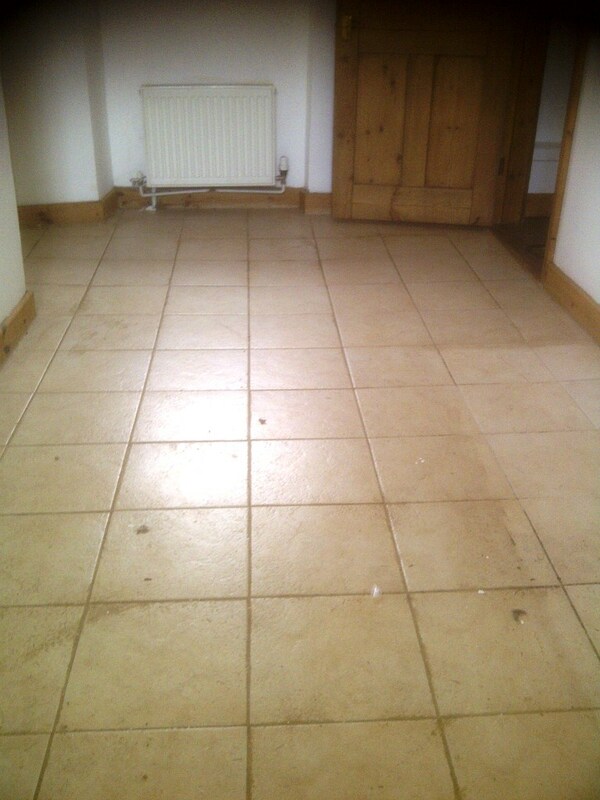 This was then rinsed off with high pressure spinning tool operating at 1200 PSI to blast out the dirt from the pitted tiles and badly soiled grout lines. 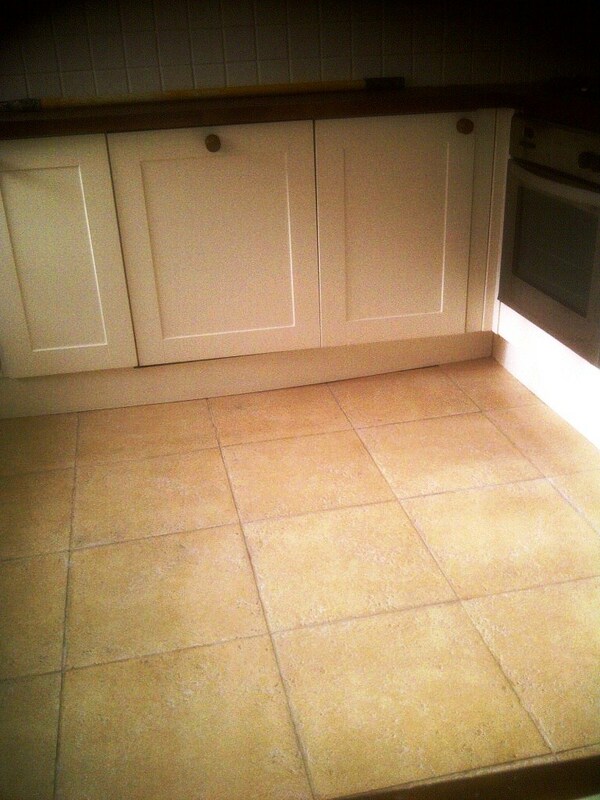 The tiles were left to dry overnight and we came back the next day to seal the Travertine tile with two coats of Tile Doctor Seal and Go which will provide on-going stain protection as well as giving the tiles the glossy finish the customer had requested. 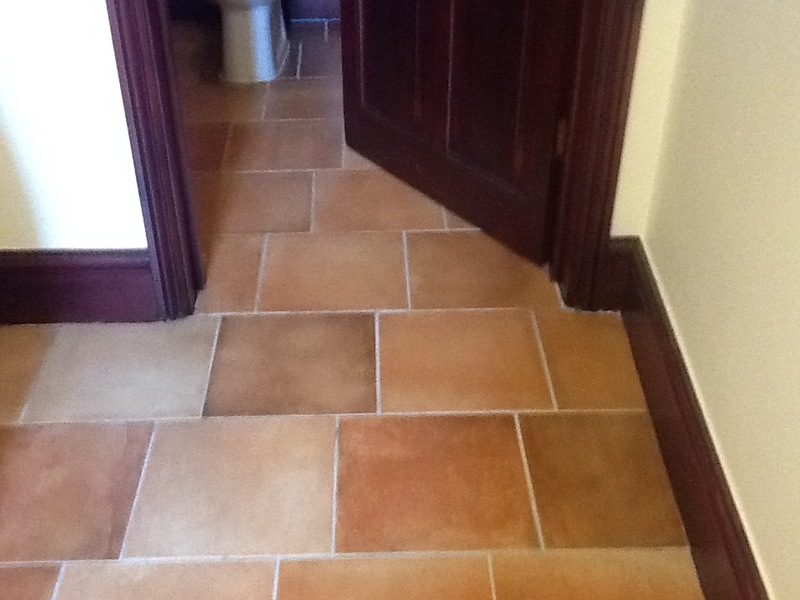 To tackle the Ceramic tiles in the hallway we used a similar system involving the use of Tile Doctor Pro-Clean and a scrubbing pad to get the tiles clean; Ceramic tiles however are usually glazed and won’t take a sealer the top layer of Grout however is porous and to protect that we applied Tile Doctor Seal and Go along the grout lines.